Warning! If you have a swarm of bees that are threatening the safety of you, your family or your neighbors, don’t hesitate – call your Santa Ana bee removal experts at Bee Busters! Santa Ana Bee Removal: As mentioned above, bee experts can help you get rid of the bees that are troubling you whether the problem is in the form of a bee colony or a bee swarm. We are bee removal Santa Ana experts that use various extermination techniques to get rid of beehive and bees and most of them related to eradicating the little insects in a definitive manner. Santa Ana Beekeeping: There is another kind of thing we do. Beekeeper is so appreciative of bees that he wants to rear them or breed them in a controlled environment. This is a science known as apiculture which is a highly specialized field. If you want to breed bees as well then you may need the help of an experienced and qualified bee keeper to teach you the little tricks and techniques. Santa Ana in Orange County, California is located on the banks of the Santa Ana River. In addition, the city also has the Santa Ana Mountains nearby. These two geographical aspects combine to make the region one of the most fertile in the country. Fertile regions, however, often tend to attract a lot of bees. Consequently, bees are quickly becoming a big problem in the city. Santa Ana bee removals are going on all over the city. 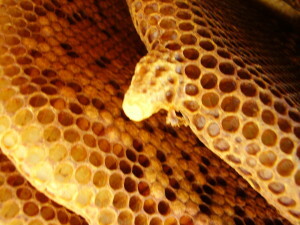 Problems related to bees can manifest in a variety of ways. 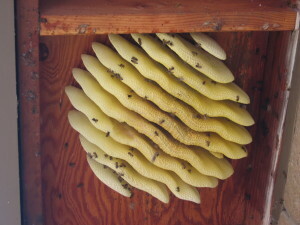 The most common, of course, is that some hollow part of your home gets colonized by the bees as they make their home in the nook where they will be safe from predators and the weather alike. If this happens to you, you need a professional Santa Ana bee Removal Service to take care of the problem quickly, efficiently, and at a great price. Most bee problems should not be dealt with by an inexperienced individual, which means that you should never try to resolve your bee problem yourself. You need an experienced professional. You need Santa Ana bee removal company, The Bee Busters. The trick to resolving a bee related problem is to simply call upon a qualified and experienced Santa Ana bee removal service provider. There are various services that such experts offer to distressed homeowners. 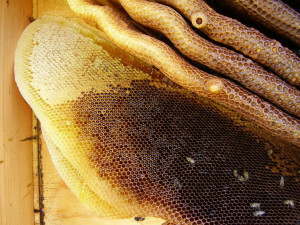 Bees can be both good and bad for human beings. However, with the help of the right Santa Ana bee removal experts, you can ensure that you help the environment without compromising your own comforts. Call Bee Busters, Inc. today at 949-497-6264. Contact your Santa Ana Bee Removal Experts Today!